Current REM drummer, Bill Rieflin (formerly of Ministry, Pigface, KMFDM, Swans) first mooted the idea of long-form live improvisations with ambient/ textural/ environmental concepts to Robert Fripp and his wife Toyah Wilcox during last year's R.E.M. tour. 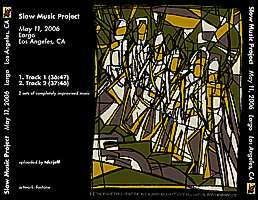 Slow Music Project was then born first as a studio project until Fripp suggested a concert. 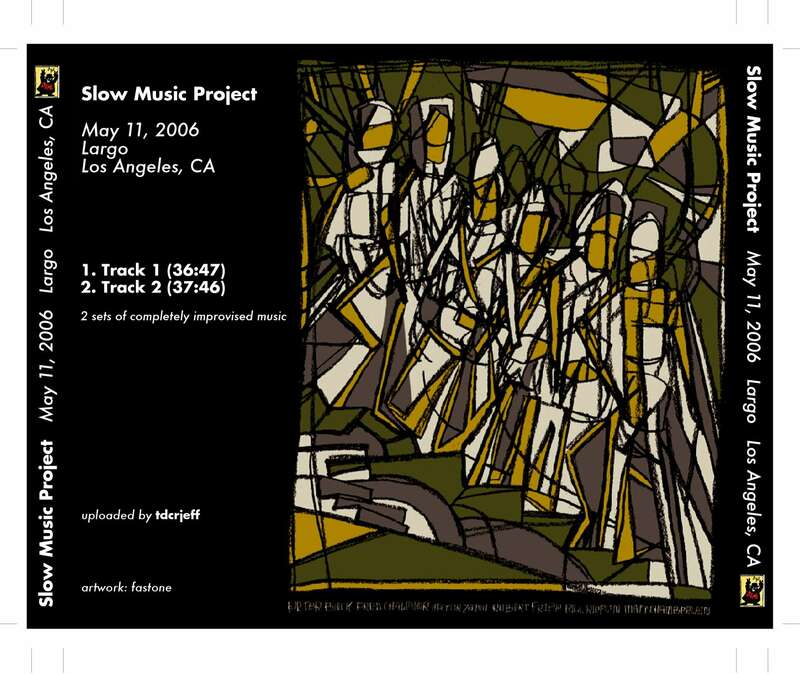 Their debut gig was on Oct 19, 2005 and a tour followed soon after. 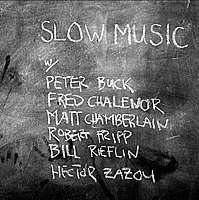 As Rieflin recalls: "One aspect of the Slow Music idea is based in using standard instrumentation (drums, bass, guitar, keyboards/ synth) under less-than-standard conditions. For instance, the use of space as an essential part of the musician's palate, and how sound might be used to open up space. In this context, listening skills are as important as competence on an instrument. So, I asked the best players I knew to participate, each one with their own individual characteristics and point-of-view. Eventually they all agreed to join the project. all very general. Each performance is unique - even we don't know how things will turn out: it is the mystery and risk of live performance." 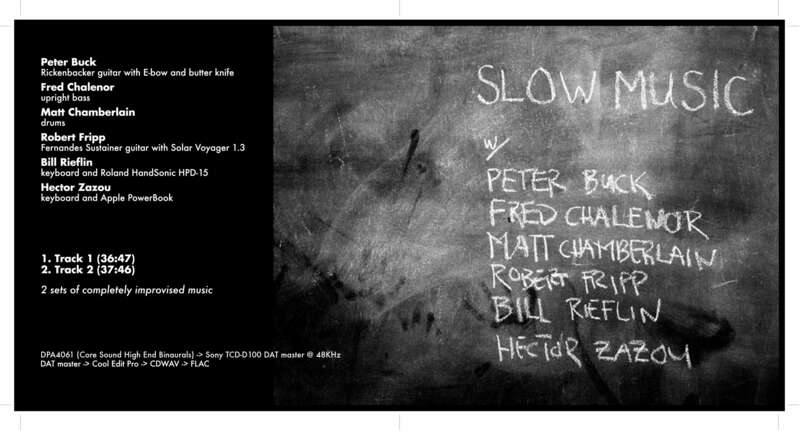 Two long tracks of over 36 minutes are featured here with more interaction between Fred Chalenor's bass and Matt Chamberlain's (who drums for Tori Amos) percussion. Buck and Fripp are content to go with the flow. An audience stereo DAT recording in excellent quality. Thanks to tdcrjeff for contributing the tracks. Note: Due to the size of the files, please be patient when downloading the tracks. Don't forget to buy their official release - Live at the Croc. A limited number of this CD is put on sale at the group's performances.